Propane is a nontoxic and environmentally friendly gas. It can be used as fuel for gasoline vehicles and can provide a significant reduction in greenhouse gas emissions. It is also much less harmful to human health than gasoline. Many appliances run on propane, like barbecues, camping equipment, refrigerators, heating stoves, cooking stoves and fireplaces, as well as various heating and lighting systems. Propane’s price of is also much more stable than gasoline’s or diesel’s. No question… it’s a real ecological and economical option. The mission of Charbonneau Propane Équipement is to offer our customers faultless and safe service that meets the highest quality standards in the field. Our company is reputed for the reliability of our products and our efficiency. The secret of Charbonneau Propane Équipement’s long corporate life is the quality of service provided by our dedicated staff. Satisfied customers have returned generation after generation for over 50 years. 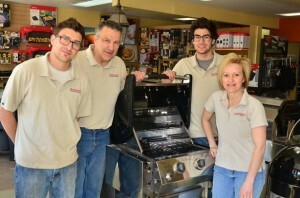 A family business established in Vaudreuil-Soulanges since 1958. 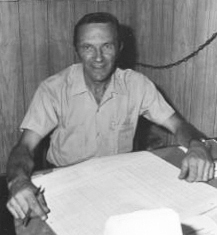 In 1958, Omer Charbonneau, partnered by his wife, founded a company specializing in selling propane appliances and equipment. From the very start, the couple enjoyed great success due to their propane refill service and sales of portable appliances and camping accessories. During its early years of existence, the company acquired the experience and expertise that enabled it to significantly increase sales, particularly in the sector of household appliances, like kitchen stoves, water heaters and boilers. During the 80s, another product underwent an enormous boom: the propane barbecue! To cater to this growing trend, the company introduced a seven-day-a-week propane refill service, as well as offering our customers a wide range of barbecues. Always looking toward the future, Charbonneau Propane Équipement decided in 1982 to build a garage after charting the development of the market for propane-powered vehicles. For almost ten years, the company has been a Canadian Propane Association authorized agent for converting vehicles to propane. 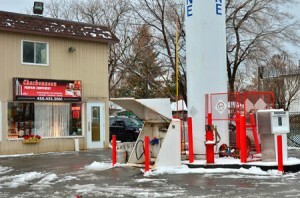 During this period, we also built a gasoline and diesel filling station. Our constant goal is to provide our customers with a location that meets all their needs under one roof. Among our many services, Charbonneau Propane Équipement also provides RV propane tank refills and repair of camping equipment for trailers and motor homes. 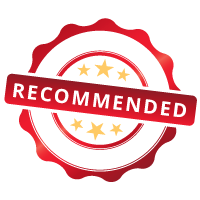 To accommodate our remarkable growth, the company moved to larger premises in the mid 90s and since then we have been established on Charbonneau Street in Vaudreuil-Dorion. The family success story continues today with two of the founder’s children at the helm. Charbonneau Propane Équipement has built an enviable reputation and continues to provide a variety of products and a multitude of services that meet the highest quality standards!